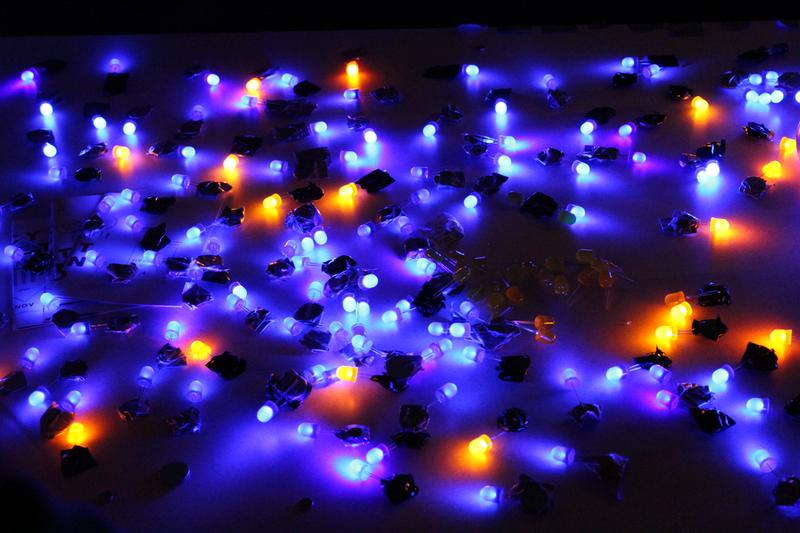 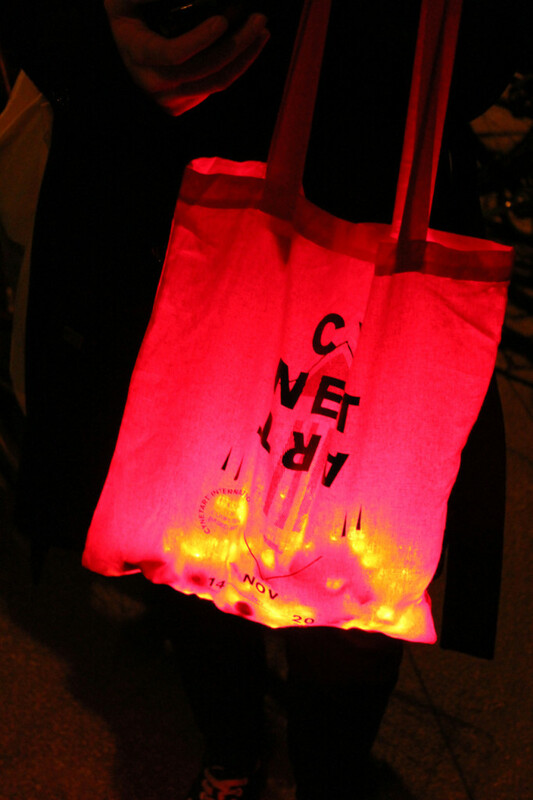 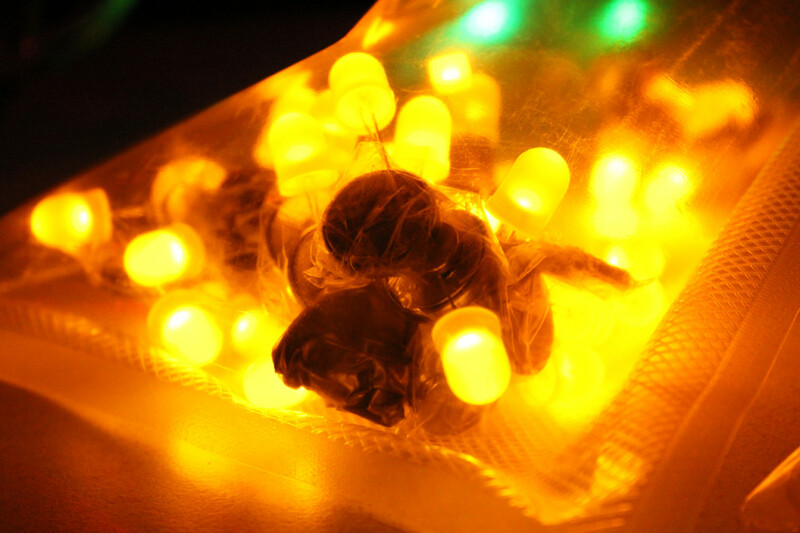 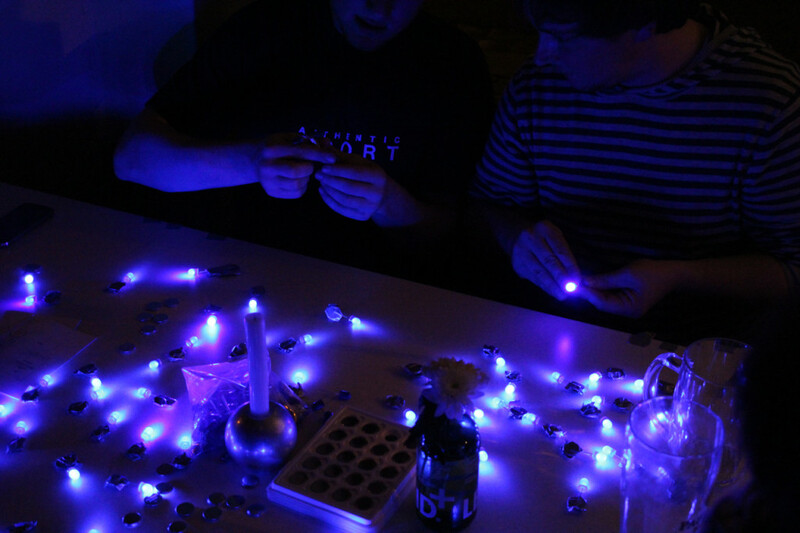 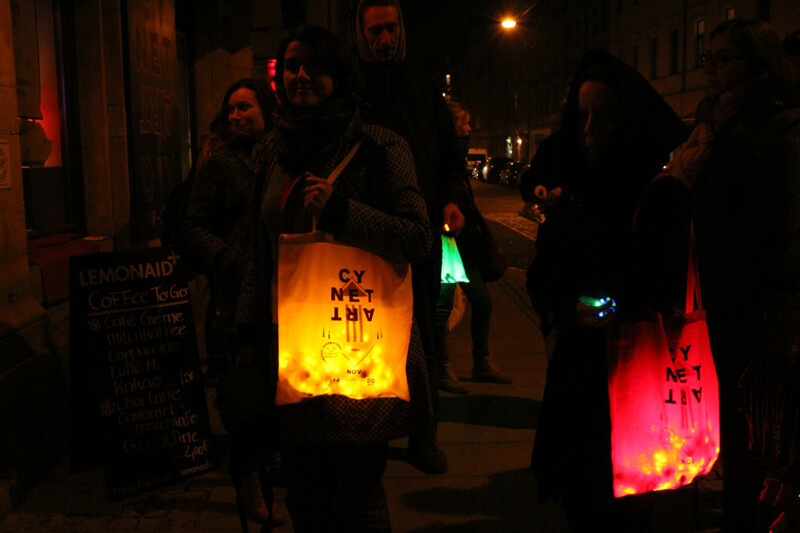 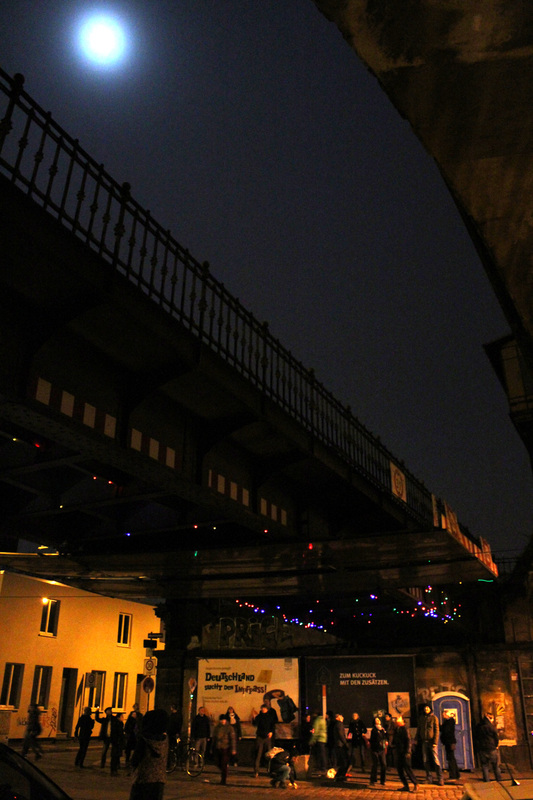 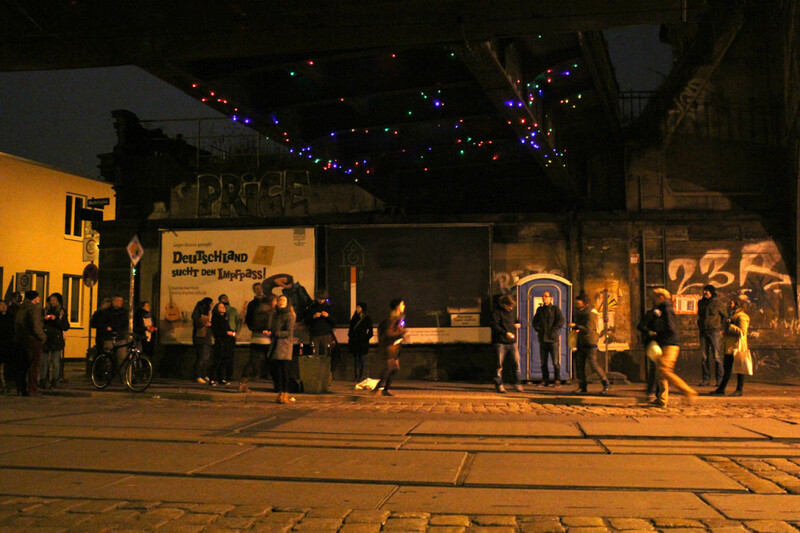 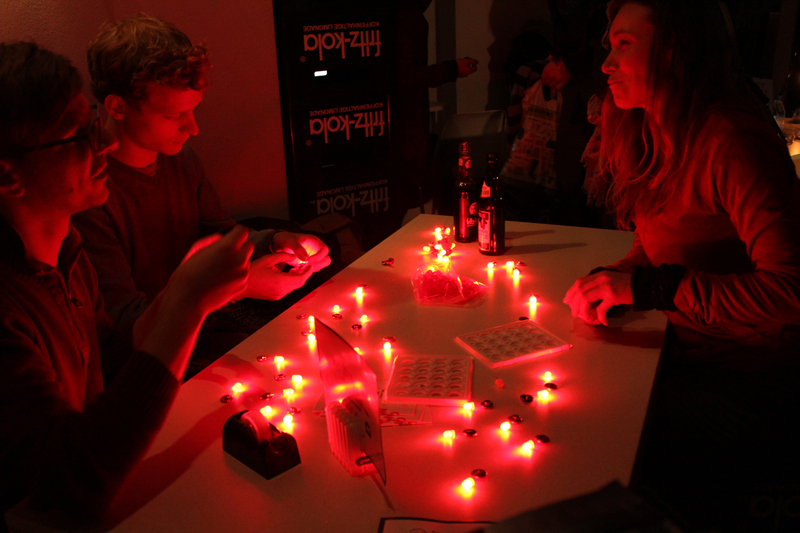 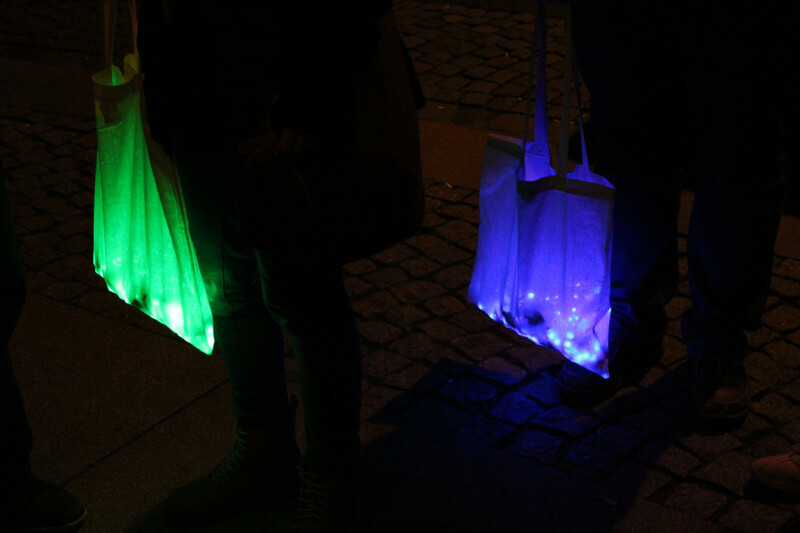 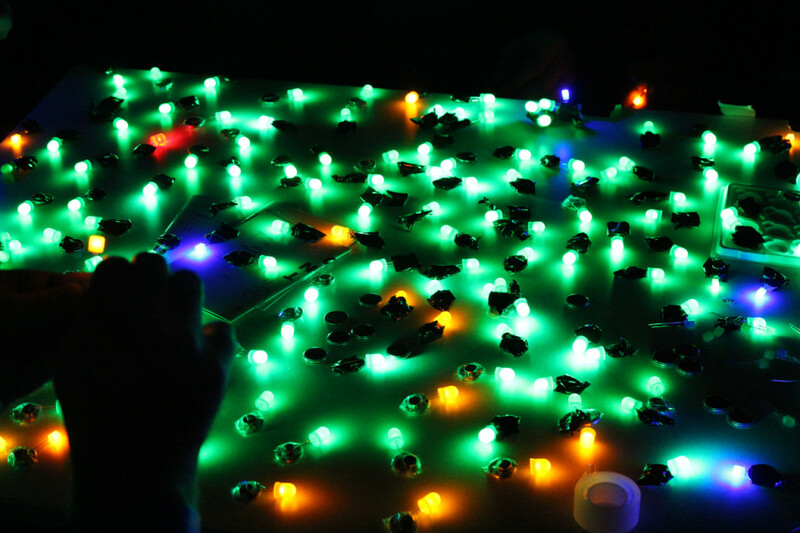 Last weekend GRL Berlin ran a wonderful LED-Throwie workshop at CYNETART festival in Dresden. 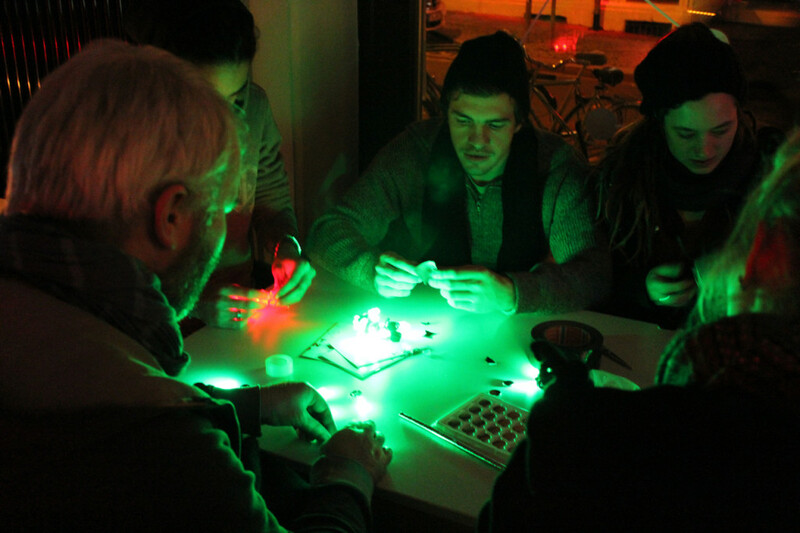 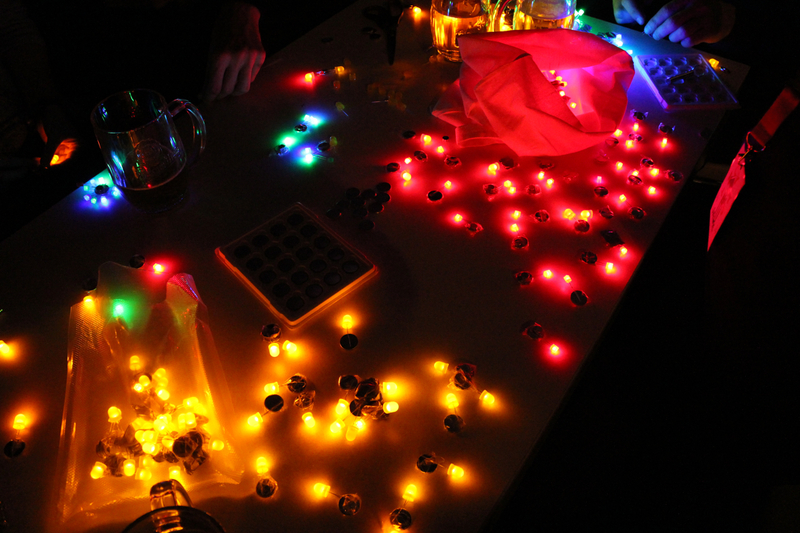 Around 20 motivated participants joined in to make red, green, blue and yellow LED-Throwies – oh yes, no messing around there with colors – each color had its own table! 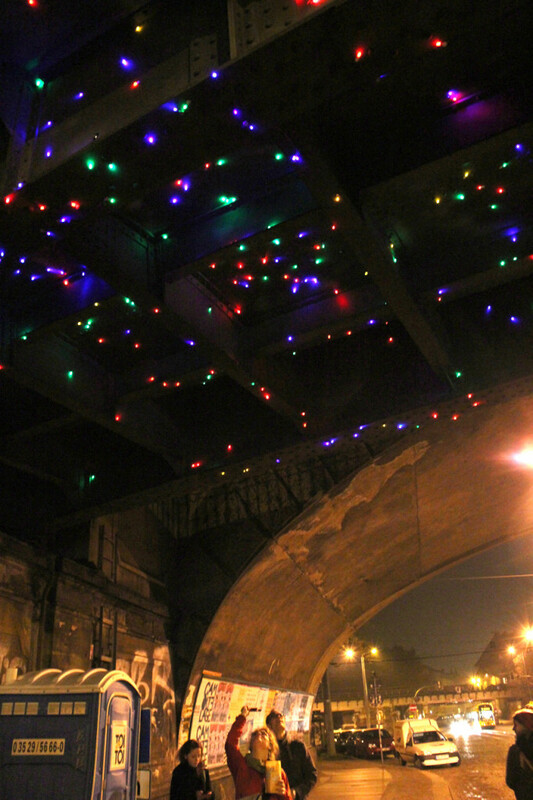 One dark underpass at the Neustadt neighborhood got lucky to be picked as the new home of 700 shining Throwies.